When the Hard Rock Cafe decided to stage an annual fund-raising concert, Ajax Design created a complete campaign: ads, shirts, posters, awards and direct mail pieces. 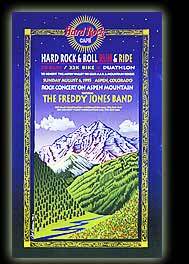 The effect of the promotion was a well attended concert, a successful race and a stronger financial foundation for two key volunteer organizations. 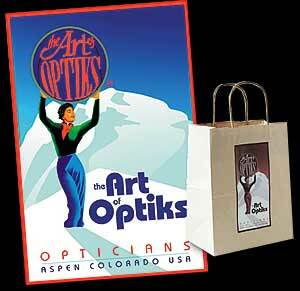 Art of Optiks, a high-end optical boutique, needed a striking image to communicate exclusivity and refinement. Ajax developed an image in the classic style of early century European poster art, conveying a sense of timeless style.